Emory medical faculty, including Winship Cancer Institute members, partner with Morehouse School of Medicine in serving patients at Grady Memorial Hospital. This is an important partnership for the citizens of Atlanta and the state of Georgia that goes beyond patient care. The institutions also collaborate on research initiatives. 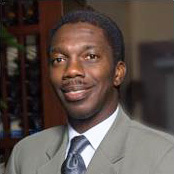 Roland Matthews, MD, Chair of the Department of Obstetrics and Gynecology at Morehouse School of Medicine, is a Morehouse faculty member who is making a difference in helping to lessen the cancer burden in the state. Throughout his career, Dr. Matthews' research, education, and clinical activities have focused on reducing disparities in underserved communities. As a gynecologic oncologist, he specializes in pre-invasive cervical disease and gynecologic cancers and serves as an attending physician at Grady Memorial Hospital. He has worked to understand protein biomarkers of cervical cancer risk and studies the gene prohibitin and its functional significance as a tumor suppressor in women with gynecologic cancers. Dr. Matthews is Vice Chairman of the Georgia Center for Oncology Research and Education (CORE) board, an independent non-profit organization working to improve cancer care in Georgia by strengthening clinical cancer research throughout the state.